Stories in this edition deal with the subject of pilgrimage… to Ireland and to Rome with Sr Helen Clarke, Sr Maureen Heffernan, and Sr Margaret Scully in a traditional sense. 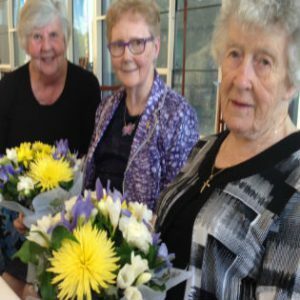 And in a more figurative sense, the pilgrimages of five of our Sisters of Charity of Australia – Regina Millard, Elizabeth Costigan, Helen Malone, Marguerite Moloney, and Eileen Thynne as they celebrate 50, 60, or 70 years of apostolic, religious life. And for two Sisters, Margaret Laffan and Trish Shinners, their earthly pilgrimages have concluded and their lives celebrate in this edition of Keep In Touch.